Anyone attending the event may request space to sell woman-made creations or items from her woman-owned business. Artists keep 90% of the sales and give 10% to UUWomenspirit. You will be responsible for selling your items during the scheduled times. Check back here a couple of months before the event for the link to the agreement form. If you are a licensed massage therapist, you may offer massage. You will need to provide your own table and find your own space. PLEASE check with cabin mates before offering massage in your cabin. You can reserve a space in the sales area where women can sign up. Therapists keep 90% and give 10% to UUWomenspirit. Check back here a couple of months before the event for the link to the agreement form. UUWomenspirit is proud to offer some financial assistance to those who need it. Check back here a couple of months before the event for the link to the application form. The long tradition continues – Eliot Chapel sponsors a time of relaxation, rejuvenation, and illuminating workshops to feed the mind, body and spirit. 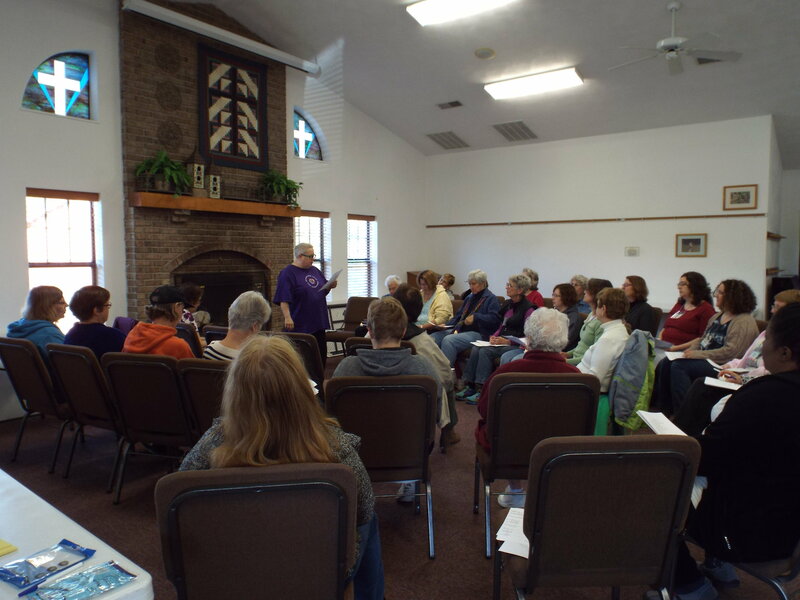 Women's Weekend is May 17 - 19, 2019 at the Toddhall Retreat Center in Columbia, IL, approximately 20 miles from Kirkwood, MO. Registration will be available starting March 17th at www.eliotwomensweekend.com. Mark your calendar to register early to get the best workshops and rooms. For our Eliot Chapel members and friends - look for our table in Adams Hall every Sunday starting March 17th. Once again, UUWR will partner with UU Women's Federation to bring the UUWR Store, The Red Tent, and more to the GA Exhibit Hall. Stay tuned for announcements on our guest speaker for this event! Join us for the annual FALL RETREAT! Her Holy Well is deep and loving. our Power, our Harmony, and our Unity.